YouTube Red, the streaming subscription service that’s just like vanilla YouTube but costs money and has ostensibly superior content, has just ordered a batch of new shows that might make us regret using the word “ostensibly” back there. 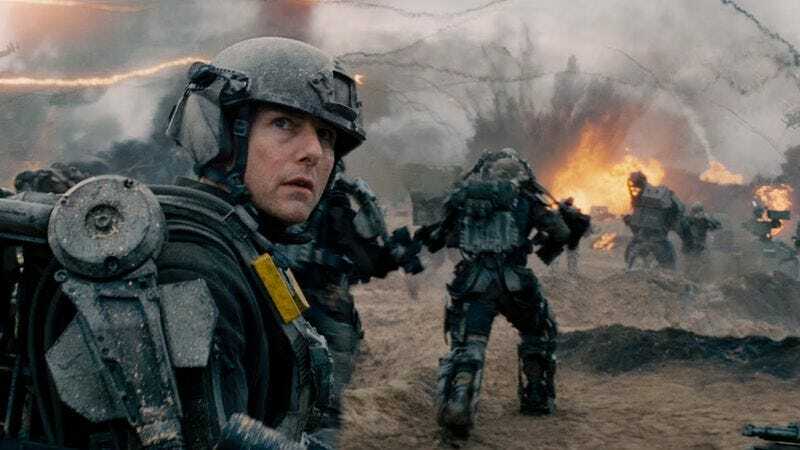 This comes from Variety, which reports that the new projects come from recognizable names like Community’s Dan Harmon, Edge Of Tomorrow’s Doug Liman, and every action sequel’s Dwayne “The Rock” Johnson. YouTube has also ordered a new season of “digital influencer” Joey Graceffa’s Escape The Night. As for the new shows, Johnson will be executive producing an action series tentatively titled Lifeline. Centered around a life insurance company with time travel capabilities, the show will involve agents being sent 33 days into the future to try to prevent the accidental deaths of their clients. Not only does it sound like a fun premise, but it’s also some pretty cold satire about the lengths insurance companies will go to avoid having to pay out any money. Liman’s project is called Impulse, and it’s about a “young girl who discovers her ability to teleport away from danger.” That makes it sound like it’ll be about someone avoiding action instead of taking part in it, but there are probably some important plot details we’re missing. Like, why is this girl in danger so often that she needs the ability to teleport away from it? Either way, Liman will direct and executive produce the project. Then there’s Dan Harmon, who is producing a scripted comedy show through his Starburns Industries production company. It’ll star Dan Avidan and Arin Hanson of YouTube’s “Game Grumps” channel as a pair of eSports fans breaking into the “cutthroat world of competitive gaming.” Given the other two shows, we imagine there will also be some element of time travel or teleportation, both of which would probably be pretty unfair in the eSports world.